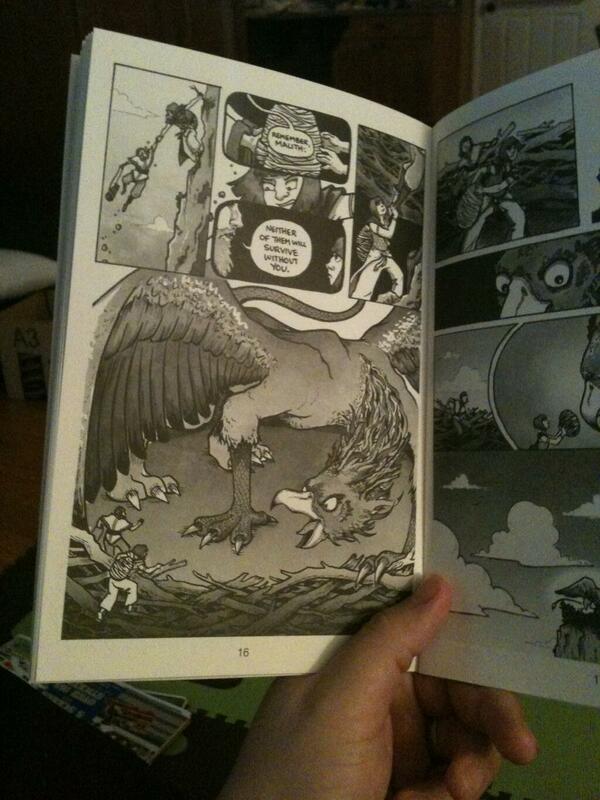 New Recordings: Crowdfunding & All-Ages Comics! Hey blog friends. Just wanted to check in and let you know I’ve released two new panel recordings on my SoundCloud page! The Modern Realities of Fundraising for Artists ran at Linework NW here in Portland this month. Tristan J. Tarwater led a great discussion on modern techniques for funding creative projects and careers through the Internet, including Kickstarter, Patreon, taxes, generosity, and many things in-between. The panelists included me (True Believer), Hazel Newlevant (Chainmail Bikini), Taneka Stotts (Beyond), and Kory Bing (Skin Deep, Borogrove). All-Ages Comics Aren’t Limiting ran at Emerald City Comicon back in March under moderator Rachel Edidin. The panelists—myself, Jen Van Meter, Janelle Asselin, Adam P. Knave, and Sarah Gaydos—discussed the elements of great all-ages comics, where to draw the line with content, and recommendations of favorite titles. Thanks to my generous supporters on Patreon for covering the hosting fees for these recordings! You’ve heard me shouting about it for months and end, and now the day is finally here! 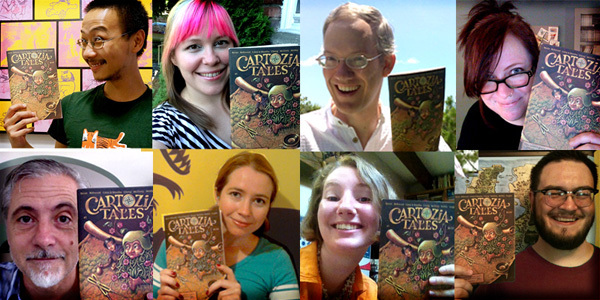 The Cartozia Kickstarter Campaign has launched with an incredible outpouring of support from fans all over the world. I’m so excited to share it with you. In case you’ve missed it the last fifteen times I’ve gushed about Cartozia on the web, it’s an all-ages fantasy series set in a shared world and brought to life by a core team of eight indie cartoonists. With the guidance of our fearless editor Isaac Cates, we’ve published the first two issues on our own dime, and now we’re aiming to fund an entire year’s worth of 40-page issues. It’s an audacious campaign, but I have faith that we’re going to knock it out of the park. From story to story and issue to issue, we swap characters and locations via a game of chance, building on one another’s ideas to create a dynamic narrative landscape. Two guest stars per issue help keep things fresh, and we’ve got some incredible names on the project (James Kochalka! Brittney Sabo! Evan Dahm! Eleanor Davis! Dylan Horrocks!). I’m fairly certain this type of storytelling has never been done before on such a scale, and the results so far have been fantastic — immersive and playful for kids, engaging and complex for adults. We’re making Cartozia Tales because we think the world needs more comics that will attract young readers and let them celebrate adventure, curiosity, exploration, and fun, but we can’t make it happen without your help. 1. Pledge to the campaign. 2. Spread the link (especially to parents and teachers!). 3. Find us on Twitter @Cartozia and get in touch. 4. Reblog this post on Tumblr. 5. Learn more about the world, our contributors, and our methods on the homepage. 6. Invite your friends to the campaign event on Facebook! 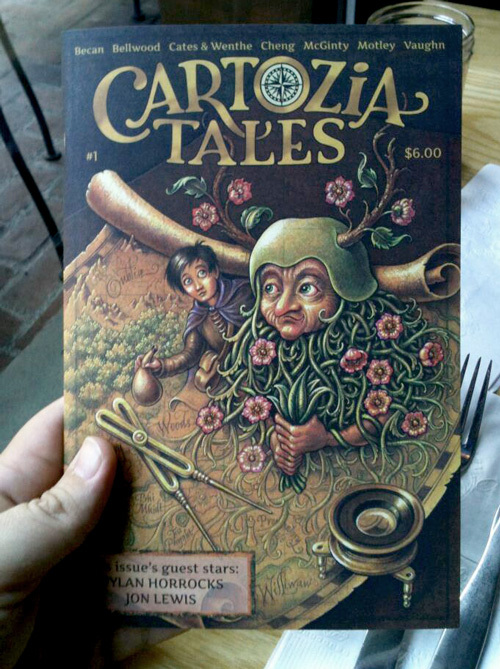 Cartozia #1 Pre-Orders & Issue 2 Previews! Leah Palmer Preiss’s incredible cover illustration! A page from my first story, Above. You can still snag a copy for the pre-order sale price ($5!) until Isaac starts shipping orders in earnest, so be sure to grab one THIS VERY SECOND! Seriously, initial support is crucial to the continuation of this series, which will run for a whole year (and possibly more), so the more the merrier at this point. Plus, I’m super proud of all the work that went into this and I think the contributors are all a buncha badasses, so, y’know. There’s that. We’ll also be launching a Kickstarter later this month, but subscriptions and single issues are cheaper if you order straight through the store right now, so get to it! You might remember Reshii from the paper doll cards I posted a while ago. He’s a confident navigator. Unfortunately confident navigation isn’t always the best strategy when you’re trying to find your way out of The China Labyrinth. Want to know more about Reshii and his quest? 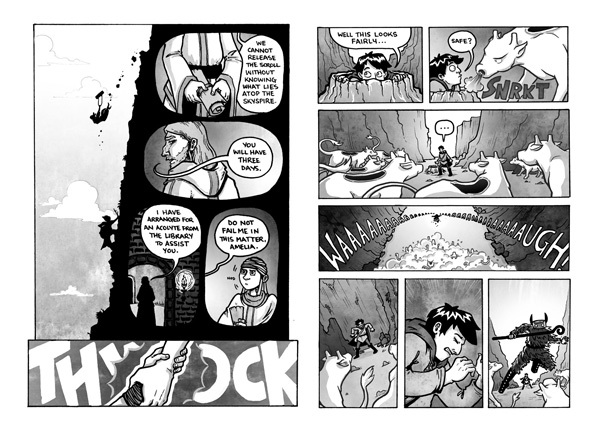 You can catch the first part of his story, illustrated by Sarah Becan, in Issue 1. My piece for Issue 2 explores the mysteries of the China Labyrinth, which was one of my absolute favorite places to design. I’m hoping to do a little “Learn More” featurette about its unique ecosystem somewhere in Issue 2. Keep your eyes peeled.